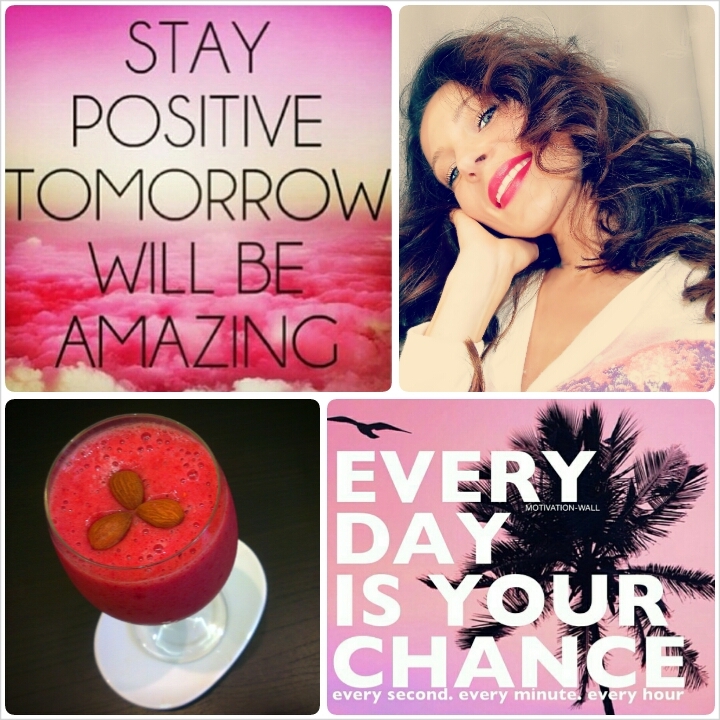 Today I’m going to write about positivity and some little tips on how to stay motivated in your everyday life! These tips can help you to become more organized, to achieve your goals easier and to be a happy person! My first tip is to set goals for yourself. Try to vision how you want your life to be. You can write down your goals on a paper, you can create a vision board with your goals and pictures on it, like places where you want to travel, persons who you like or who would love to meet, things that you want to own, or anything you really really want to achieve. Put this board where you can see it and try to do something, every single day that helps you to get closer to these dreams and goals. This is a great way to keep yourself focused. Another thing is to appreciate all the things you have, and to be thankful for those. Try to spend more time doing the things you are passionate about. This could be cooking, photography, hiking, architecture or any kind of sport, whatever it is try to spend more time doing those things. Take a class, learn new things, practice your hobby. You will feel happier more content and this will have a positive affect on you and the people around you. Tip number four is to be organized, list the things you look forward to the next day, month or next year. Plan your future. Plan a movie night; plan a trip, an appointment to a massage, a dinner party with your friends, a weekend spa. These things are really good in keeping you happy. In life you want to be able to look forward to things. Like you are planning a trip, you are so excited about those things, so when you achieve those things you feel so content because you did that. My fifth tip is to exercise, yes I know it sounds like a cliché, but exercise is so vital. It keeps your body and mind healthy, it helps you to get rid of the toxins, to have a clear mind, it makes you think better. Exercising does not mean you have to spend hours in a gym on a treadmill, you can go for a jog in a park, you can walk your dog, stay active, play tennis, go to a yoga class or meditate. If you are not active you feel tired and lazy and lifeless, so please be active on a daily basis! My sixth tip for a healthy happy life is meditation. Just lie down, close your eyes and meditate. For the beginning try just 10-20 or 30 minutes, to clear your mind of everything. You can meditate to the music you like, I actually have a great tip for you, I really like to meditate on Kelly Howell guided meditation – it is so calming and relaxing, you really should try it. You will feel like a new born person. I hope you guys enjoyed this little article and I also hope that when you will feel the need for a little motivation, you will try these tips. Lovely! Thanks for sharing your inspiration! great article, it’s simple but I love it!! Anyway I’ll be subscribing for your feeds and even I fulfillment you get entry to persistently rapidly.